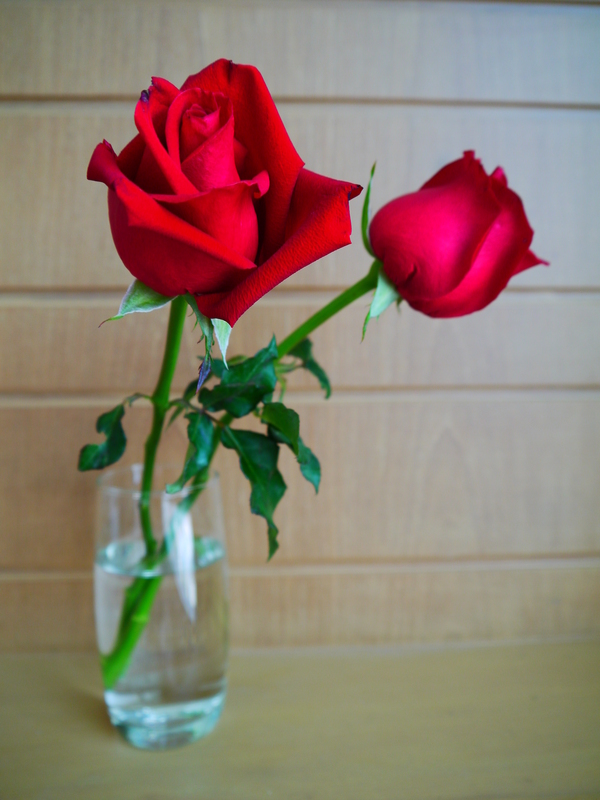 Last Thursday was valentines day and I was surprised to discover that it is a big deal in Bangkok. I probably should have been tipped off when a week before valentines I helped a Thai woman in our building with her heavy groceries and not only did she thank me for my help but as the lift doors closed she wished me a Happy Valentines Day. That was a first for me. Reminders of valentines day were everywhere, I don’t think anyone could forget or use forgetting as an excuse. On the 14th things cracked up a notch and when I went for a simple walk around the block and I couldn’t go more than 20 metres before seeing another stall selling either roses, ‘I love you’ teddy bears or a combination of the two. I think if you had a phobia or dislike for valentines then walking in Bangkok on the 14th wouldn’t have been a good idea. 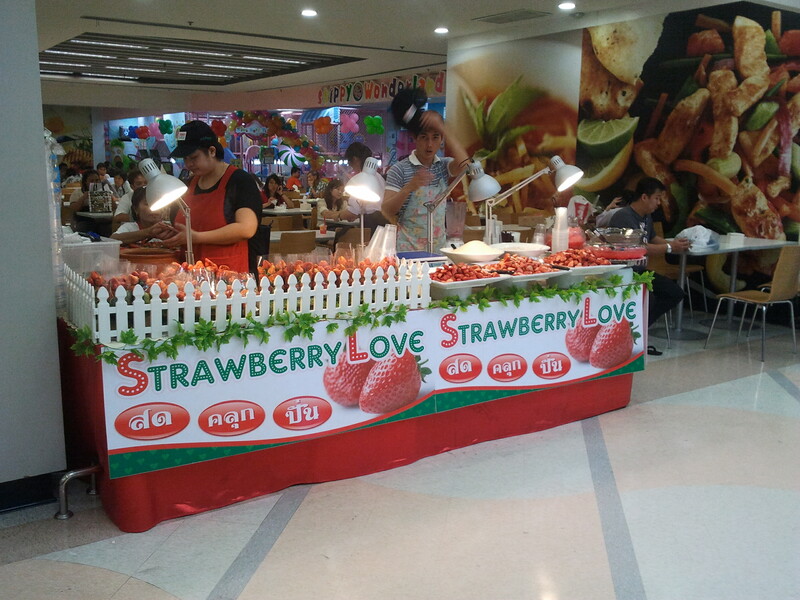 But the odd thing about this valentines was the linkage between valentines, love and strawberries. I can kind of see the link, strawberries are red and sort of heart shaped, and actually probably would make a much healthier gift than chocolates on valentines day. 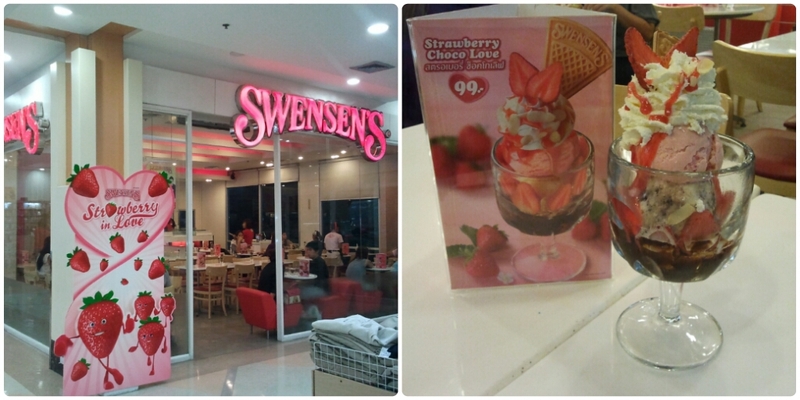 I quite enjoyed my Strawberry Choco Love Sundae from Swensens, shared with Nic. Maybe in the future strawberries will be my go to gift for valentines.